Emma is back singing with Soul Definition with a new set list of fabulous soul and motown. Come on down for an evening of classic soul funk and grooves! Food available. Emma will be singing with the soul band Soul Definition on Saturday 16th February. Come along and hear renditions of soul numbers ranging from Aretha Franklin through to Stevie Wonder! 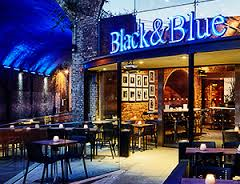 Right by Waterloo station, towards the South Bank, the venue offers an extensive range of chargrill dishes including steaks, burgers, ribs and rotisserie chicken as well as bar snacks and cocktails. Open til 11.00. 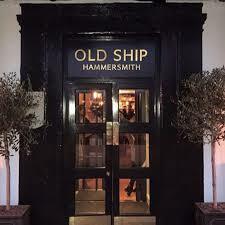 Situated right on the river Thames, the perfect place for a drink on a summer's evening - food is also available. Emma is now also taking bookings on weekdays in central London by arrangement. Double sessions are also available on request. Visit the contact page to book or enquire. Emma is now taking bookings for private vocal coaching for January 2018. Saturdays are in Central London and weekday slots in SW London. So if you want to gain vocal technique, build confidence, act through song or prepare for auditions, then message Emma on the contact page. ​To keep updated on coaching news, session availability and class updates, join Vocal Coach London on Facebook. ​"Thank you for the wonderful tuition you gave me on Tuesday. You gave me such confidence & got my voice back into shape for me. The audition went well...I have already started recommending you to friends & I will definitely be back in touch soon to arrange more tuition." Emma is now taking bookings for private coaching on Saturdays in Central London. Please contact Emma for further details.